Agriculture and Animal Husbandry Corporation (AAHC) has invited online applications for various posts (total 1600 posts) from interested students. 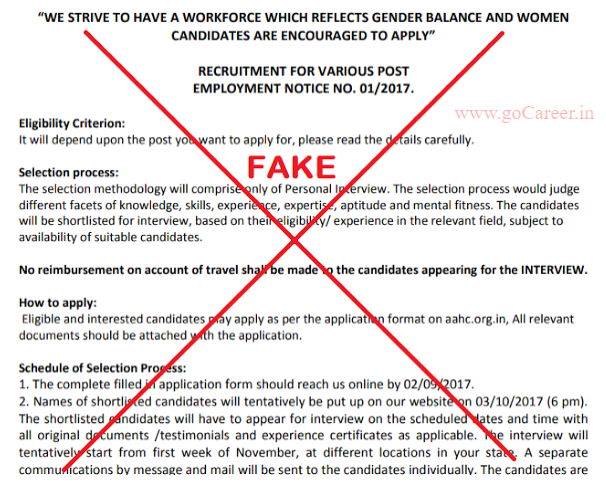 Interested candidates can check the eligibility criteria and apply online from 12-08-2017 to 02-09-2017. 4. The mobile number mentioned on whois of http://aahc.org.in is switched off. 5. 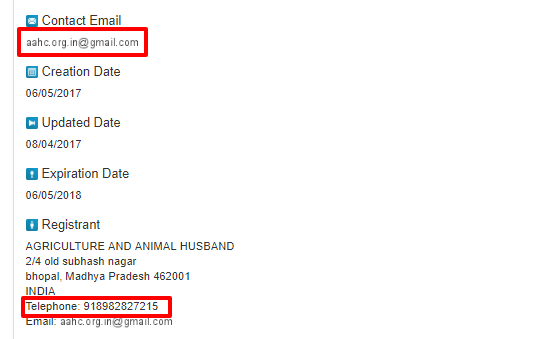 As per government instructions gov officer/ offices has to use only government mail ids but as you can see in above image Gmail id is used. 6. Most of the links on the website are showing under construction other than Apply online and career, and in about us no office address has shown.